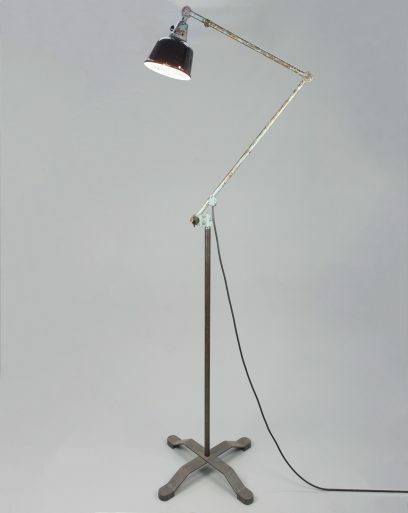 This functional yet elegant desk lamp by Midgard, was designed to improve the illumination in the workplace. 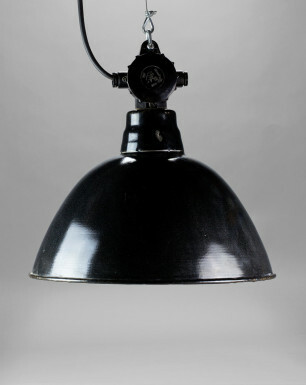 It was an often seen fixture at the school of Bauhaus, mounted directly to the drawing tables. 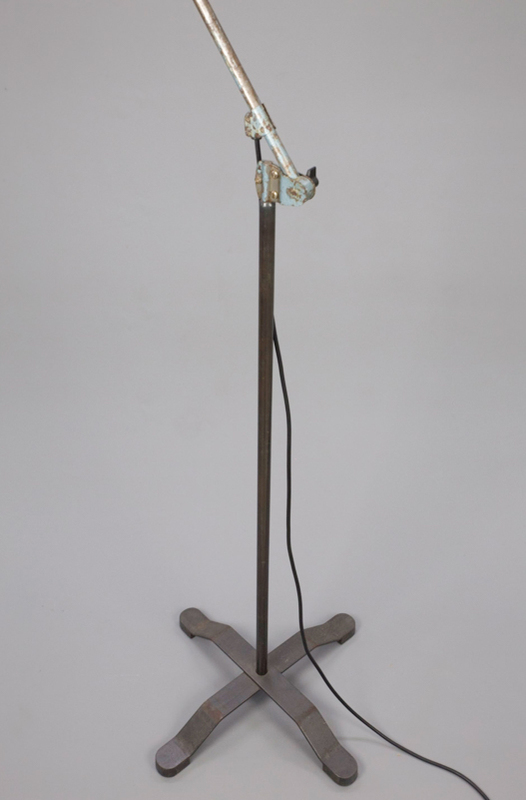 The Great Black Headed Python features three joints at the base, the arms, and the shade of the fixture, that make it a highly flexible lamp. 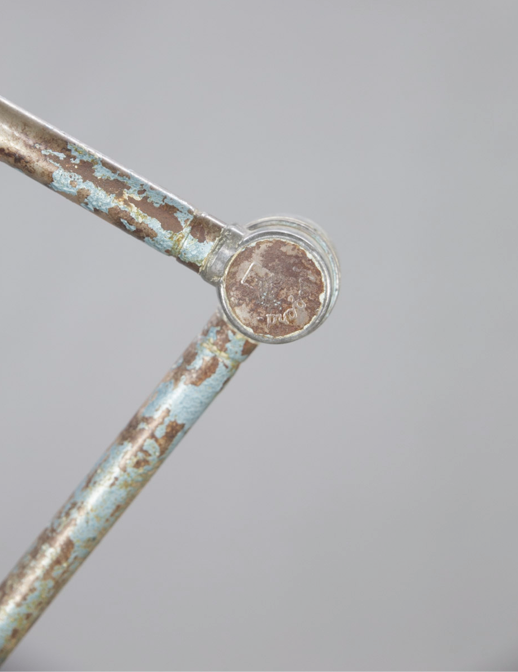 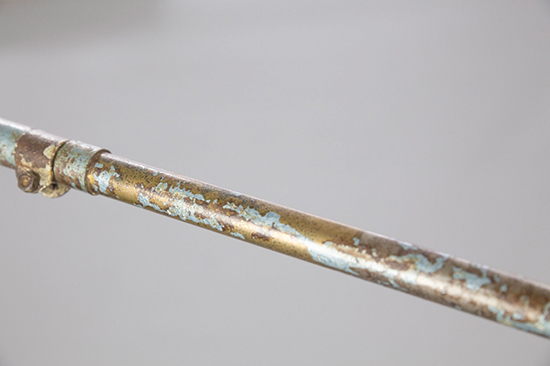 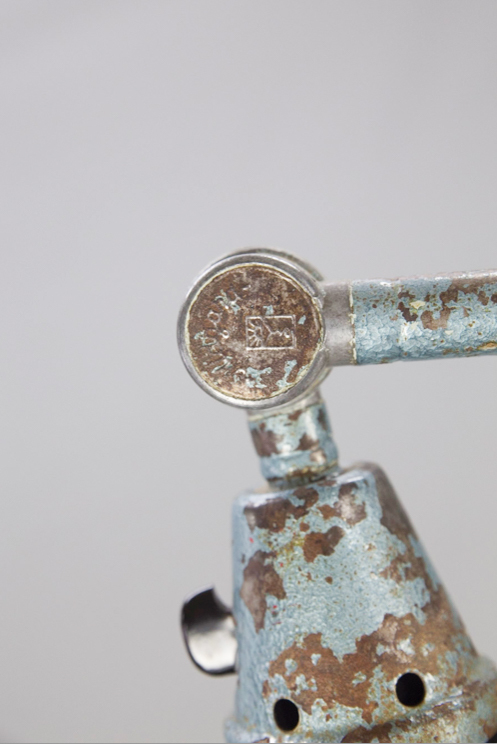 It has been placed on a tripod, creating a characteristic, floor lamp. 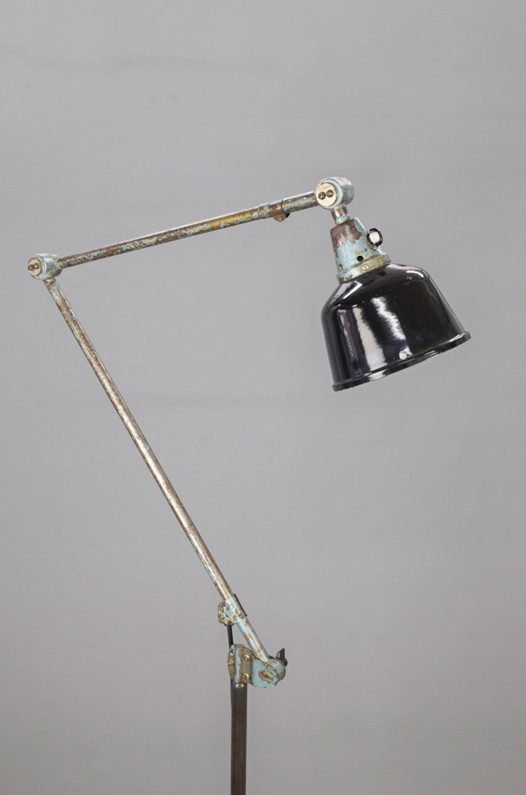 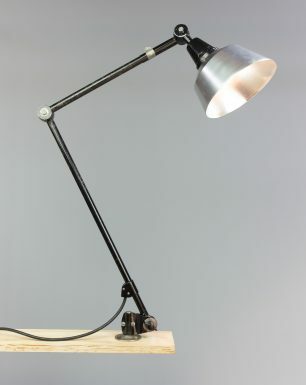 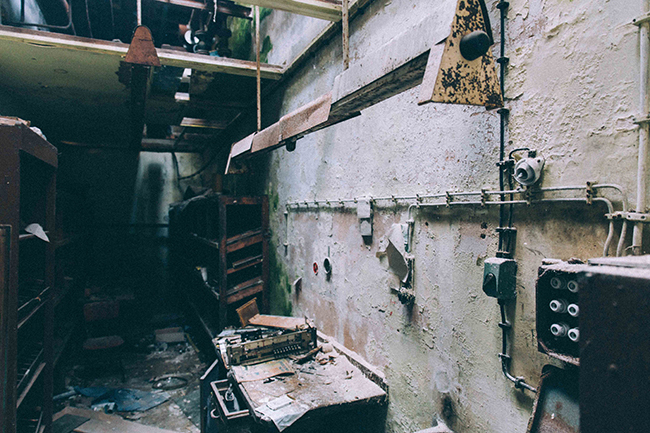 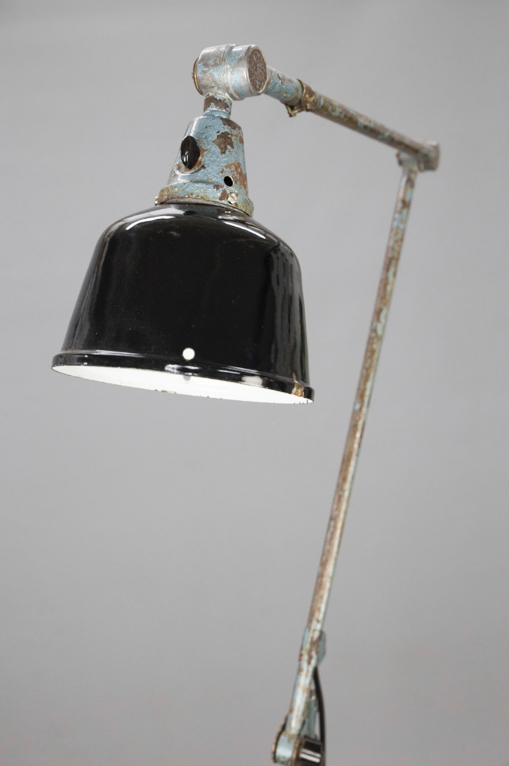 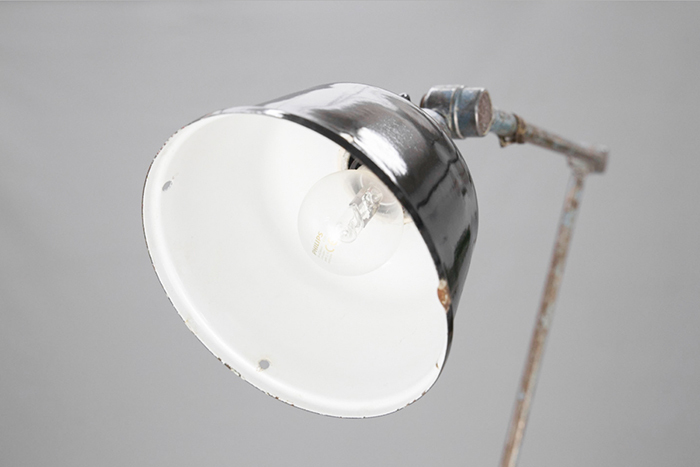 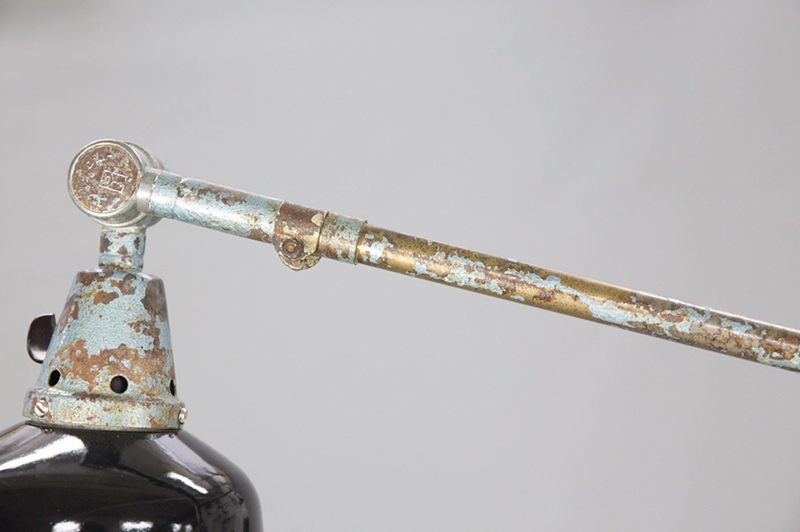 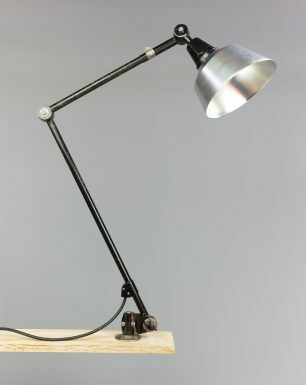 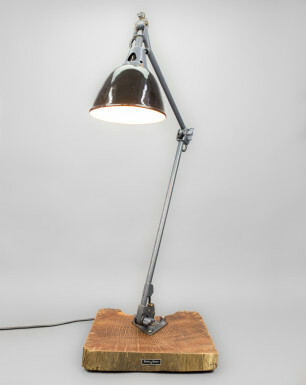 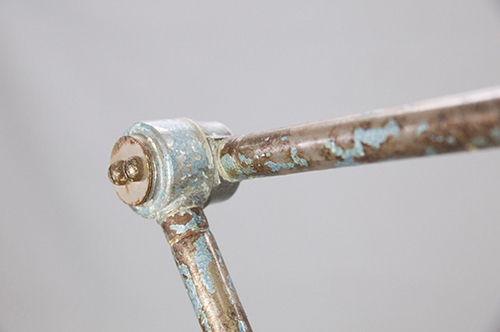 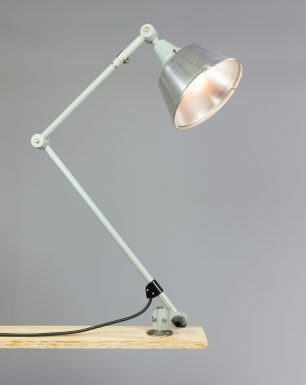 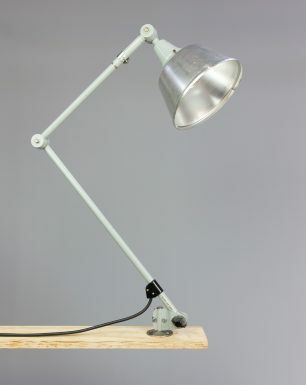 This desk lamp was found in an abandoned spinning mill.